Liu Xiaobo is dead. That’s a fact. And that his death was at least indirectly caused by the cruelty and immorality of the Chinese government is obvious to anyone who has access to information about Liu and his imprisonment. When I heard the news of Liu’s parole, my first thought was that he was about to die. He wouldn’t otherwise have been allowed to leave prison. The fact of a Nobel Prize winner dying behind bars would be simply too damaging to the authorities. In the days when Liu was in hospital, images of him and Liu Xia, his poet wife, were circulated in Chinese state media. These were – and still are – heart-breaking, not least those few that depict a smiling couple, both thin, both bespectacled, leaning on each another, as if the years of separation had been momentarily forgotten. Of the other photographs, one in particular stands out for me. It is an image of Liu in his hospital bed, surrounded by doctors and staff, his wife the only one in black. Those present seem to be listening attentively to two foreign doctors. Perhaps they are describing Liu’s medical situation. Perhaps they are delivering the worst of bad news. This photograph evokes Rembrandt’s painting, The Anatomy Lesson of Doctor Nicolaes Tulp. 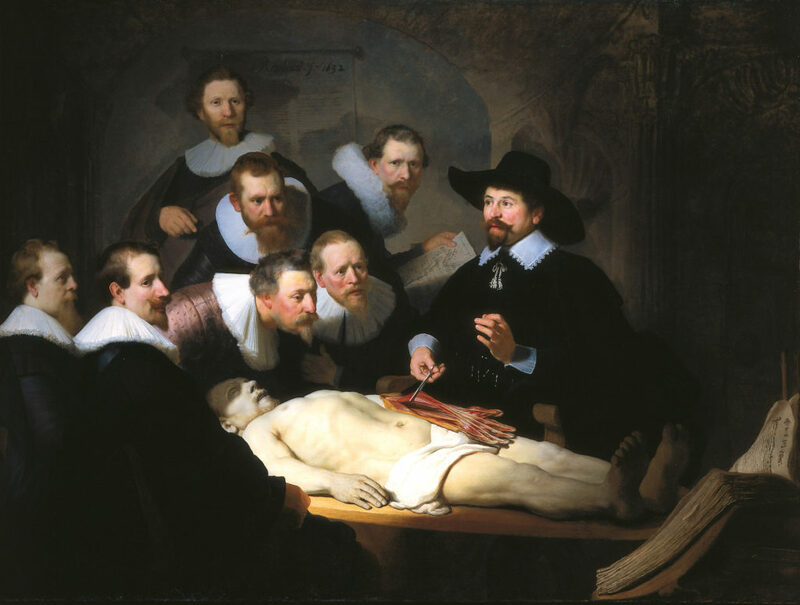 In the seventeenth-century tableau, the attention of a group of men is drawn to the recumbent figure, and to Dr Tulp, who is using the body to demonstrate the anatomical structure of the human arm. John Berger argues that Rembrandt’s painting is concerned with ‘making an example of the dead’ for ‘the advancement of medicine’. The image of Liu’s living body positioned formally at the centre – studied, scrutinised and objectified –suggests his imminent death. Perhaps through this image, the Chinese regime was already ‘making an example of the dead’. The image of Liu on his deathbed reminds me that this is what the Chinese government often does to its finest citizens. The group of doctors and others surrounding Liu symbolize the Chinese authorities’ desire for control that has driven him to his death. But another participant eludes their watchful eye - the camera. Through it, the outside world, looking in, is made witness. Liu is now dead, as dead as Rembrandt’s cadaver. But the lesson that lives on is that the force of his personality, his body of works​ and the integrity of his message of peace transcend the violence of the state ​that killed him. 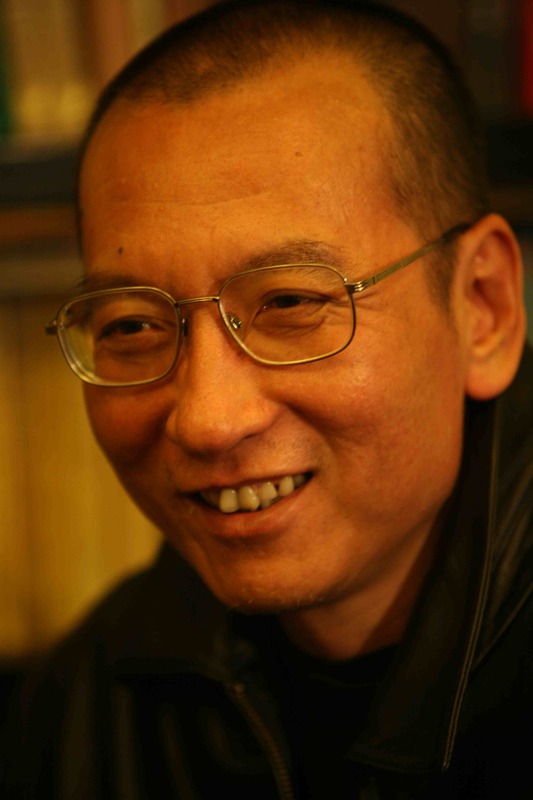 In 2010, when Liu Xiaobo was awarded the Nobel Peace Prize, the Asia Literary Review published two of his poems, dedicated, like his Nobel lecture, to his wife, Liu Xia, who remains under house arrest. Read them here: You Wait For Me With Dust (English), 和灰尘一起等我 - 给终日等待的妻 (Chinese), and I Give Everything to You. There is also a video recording of the English translation of You Wait For Me With Dust on this website and also on YouTube.